The Pryor Center for Arkansas Oral and Visual History at the University of Arkansas and the Miller Center of Public Affairs at the University of Virginia are partners in making the William Jefferson Clinton History Project interviews available to a global audience through their respective websites. President Clinton was born William Jefferson Blythe III on August 19, 1946, in Hope, Arkansas, three months after his father died in a traffic accident. When he was four years old, his mother wed Roger Clinton, of Hot Springs, Arkansas. In high school, he took the Clinton family name. He excelled as a student and saxophone player, and he once considered becoming a professional musician. As a delegate to Boys Nation while in high school, he met President John Fitzgerald Kennedy in the White House Rose Garden. The encounter led him to a life of public service. We have chosen to call this group of twenty-eight interview transcriptions Phase One—The Hope and Hot Springs Years. They bring Clinton—"Bill" or "Billy" in his youth—and the small Arkansas towns of Hope and Hot Springs alive through the memories of family members, childhood friends, schoolmates, neighbors, teachers, and other participants. Clinton went on to graduate from Georgetown University and won a Rhodes Scholarship to Oxford University in 1968. In 1973 he received a law degree from Yale University. He then returned to Arkansas to teach at the University of Arkansas School of Law in Fayetteville and soon entered Arkansas politics. 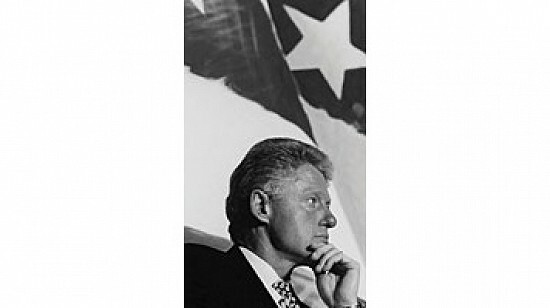 As the Clinton History Project continues, interviews from other periods in Clinton's life will become available at this location, at the Clinton Presidential Library in Little Rock, Arkansas, and at the University of Virginia's Miller Center in Charlottesville.